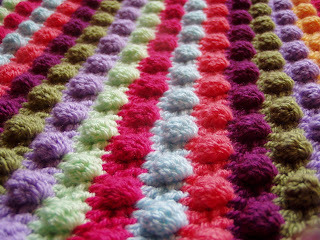 As hoped, I've finished my blackberry salad stripe which I gave to my friend this morning for her new baby boy. I made a small car seat/pram sized blanket....hopefully small but perfectly formed. I am very pleased with the end result as it was squishy and warm, everything a blanket should be! Can I go a little overboard with pics? Right....swiftly moving on......a question for the knitters. I can knit a bit and in fact it was starting back at knitting, making a cardigan for my friend's little girl, that brought me very nicely to crochet, and I'm forever grateful! Anyhow, I'm wandering a little aren't I? Anyway....if someone who is clever on the maths front understands my issue and has the answer, I would be very grateful to be let in on the secret....also if anyone knows of a lovely hooded jumper that is not beyond the ability of a knitting crocheter then suggest away! Thank you for your continuing help and encouragement, it's all much appreciated! If you would like to see other YOP work, check out the group page on ravelry. 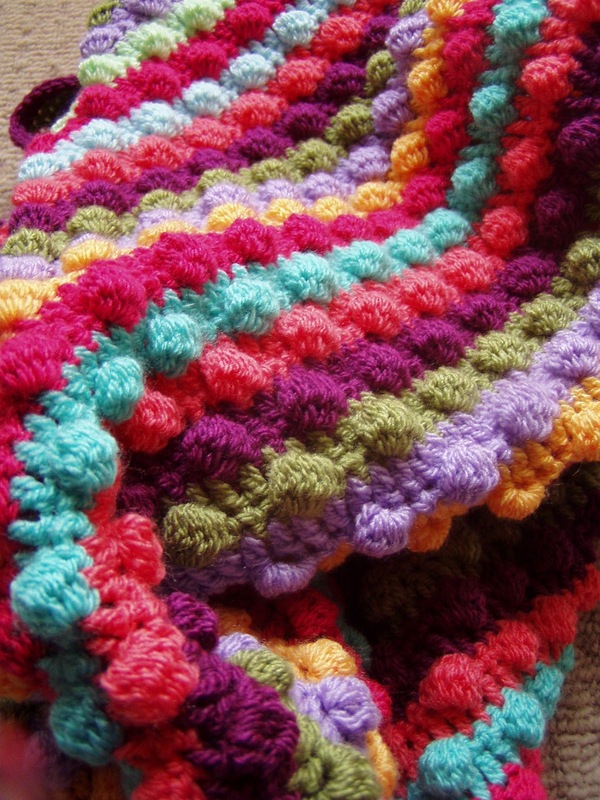 Love your blanket, it's simply gorgeous. I've got a friend who is expecting a baby later this year and I think this would be the perfect gift so thanks for the inspiration. I think I forgot to comment on your lovely squares for the BBB last time. They look awesome. LOVE LOVE LOVE that baby blanket it is so cute. where is the pattern from or is it your own design? Hi Shelley, I tried emailing you but can't so hopefully you check back! The pattern can be found on Ravelry and by pressing the link at the top of the post (in blue) it's a blogger called Moogly....fantastic pattern isn't. Thank you for your lovely compliment! I don't think the difference in the needles and what is listed will make a great big difference. Go for it. The blanket is lovely and I can't wait to see what hooded thing you make for yourself. Right. The (lovely!) pattern needs a gauge of 11stitches per 4inches on 8mm needles. Your yarn seems to give 12 stitches per 4inches on 6.5mm needles. So to my enthusiastic but amateur mind, that would be worth a shot at a gauge swatch at the very least. I have disregarded row gauge, but you would need to look at that too and make sure it wasn't too far off. 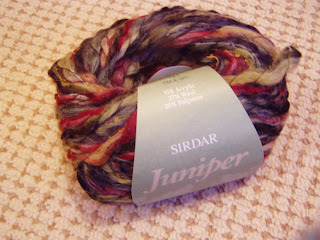 I just searched the yarn name to get gauge. Love love love the blanket and I can just imagine wrapping it round a new wee little one, oh how snug they will be. The colours are just so inviting for new little minds. I'm with goodpurl on this, I don't think it would be to far off the mark, knit a test gauge and see what you think perhaps, as for other patterns I'm lost there as I never get as far as knitting clothing for myself. Best of luck with it, I know you can do it. Your blanket is gorgeous!! Love love love the colours you've used. I've got the same blanket on the go but with rico creative cotton. I'm attempting to finish it and then it might go in my Etsy shop that currently has 0 items in!! I'm sorry I'm not much help on the knitting front, I'm not very good with technical stuff and don't understand much about the different gauges and everything..
You can never go overboard of pics with such a great blanket! The Blackberry Salad Stripe is fabulous! What an awesome gift to be received. 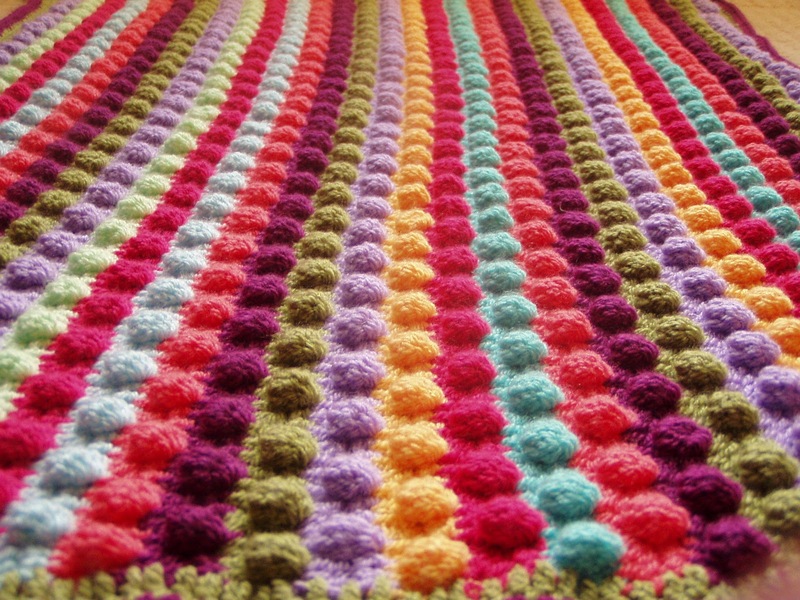 You can be very proud of the Blackberry Salad Stripe afghan - its an absolute stunner. 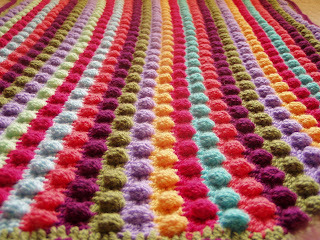 The blanket looks wonderful, so bright and cheery. I've not heard the term pram before, what does that mean? Definitely NOT too many pictures - the blanket looks so great! As for needle sizes, it all depends on your gauge. I tend to have tight tension so I like to go up a few needle sizes. Never too many pictures of such a gorgeous piece of work! What cheerful colours and great texture. It will be treasured for years to come. Good luck on the knitting front! (When it comes to gauge my brain shuts down. That's why I design scarves. :) ) Such lovely yarn. I could look at that blanket all day! Your friend must be thrilled, and really so must you. I'm not too strong on issues of gauge so I can't help there other than to suggest you make a generously sized swatch and then measure it up! Arhhh, I have just taught myself to crochet the ripple pattern, now I want to do a blanket just like yours, it is beautiful, love all the pictures. You have a such an eye for color! What a special gift to be given. I wish I could help you with "the maths" but alas, I am useless when it comes to that part of figuring out yarn and needles and patterns. I totally rely on others for that! Your blanket looks so squishy, I love the idea of a car seat size blanket. Otherwise you end up bundling bigger ones up all over the baby or it drags on the floor. 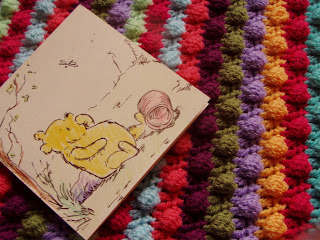 There is something so tactile about the blanket in the photos, I really want to try that pattern. Go for the knitting, that hoodie looks very warm. I agree with goodpurlgonebad, I think you should knit up a tension swatch in the wool and see how it measures out. I knit really tightly and normally have to size up .5 a size but it doesn't sound like there is much difference the wools. I always question the ladies in my lys as well.....they are probably sick of my questions! !